The following workshops are sponsored by RSA, open to all registrants and are extremely informative. National Advocacy and Public Education Workshop. A NAPE panel will discuss the results of the outreach survey. Meeting registration does not include a ticket to the NAPE Workshop. All are welcome to attend the workshop, but a limited number of box lunches (ticket required) will be available. To secure a ticket for a box lunch; while quantities last, select the NAPE Workshop option when registering for the meeting (registration opens in March). The annual Legislative Advocacy Workshop is organized by the Government Affairs and Advocacy Committee (GAAC) and will be held on Monday, June 24th at 11:45am. 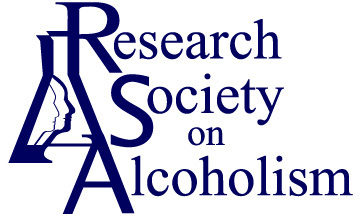 Each year the committee selects a topic of critical importance to RSA members and the interests of all alcohol researchers. All are welcome to attend the workshop, but a limited number of box lunches (ticket required) will be available. To secure a ticket for a box lunch; while quantities last, select the Legislative Advocacy Workshop option when registering for the meeting (registration opens in March). The Diversity Committee hosts an open meeting at lunchtime. Up to 75 individuals have attended the meeting, although some come for only part of the time. The meeting has been highly productive in helping to formulate a vision for the Diversity Committee and to plan specific diversity-related activities. All are welcome to attend the workshop, but a limited number of box lunches (ticket required) will be available. To secure a ticket for a box lunch; while quantities last, select the Diversity Committee Workshop option when registering for the meeting (registration opens in March). The 22st annual Grantsmanship Workshop will be held on Tuesday, June 25th at 11:00am.